Happy New Year, friends! I don’t know about you, but I can’t believe how quickly the holidays came and went. Christmas flew by, and I swear that I was just stepping off the plane in Salt Lake City to visit my parents. I’m now back in Omaha, fully unpacked and (mostly) organized for the full week of work ahead. Write more. I majored in writing in college, and while writing is a big part of my job, I’d like to do more of it on a personal level. This means sharing more via my blog posts, as well as diving into this journal and this book. Eat more veggies. If there’s something seriously missing from my everyday, it’s vegetables. I’d like to keep some cut fresh in my fridge so I can snack on them (rather than chocolate … sigh). Use what I have. My vanity and cabinets are overflowing with skincare, makeup, and beauty products, and the last thing I need to be spending money on is more products. I hope to make a huge dent in my stash this year and figure out what I really love. Use my kitchen. I’d like to try at least one new recipe a week. I watch probably too many chef shows and subscribe to a number of food magazines, and 2015 is my year to test out some new cuisine. Get dressed every day. Working from home has made me a bit lazy in terms of getting dressed every day. I used it as an excuse to wear my pajamas, loungewear, or activewear for the morning, if not all day. I’d like to get in the habit of setting out some clothes the night before and getting dressed each day as if I’m going to be stepping out of the apartment. It’ll make changing into loungewear each evening something I really look forward to. 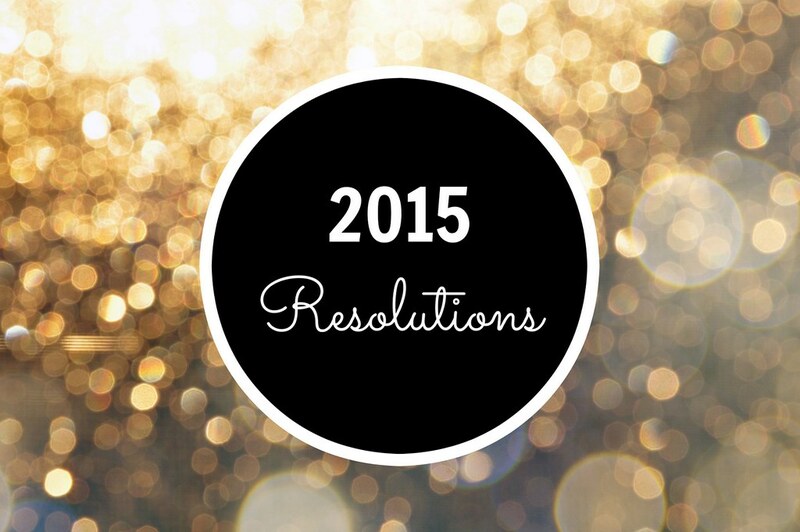 What are some of your resolutions for the new year? I’d love to hear!